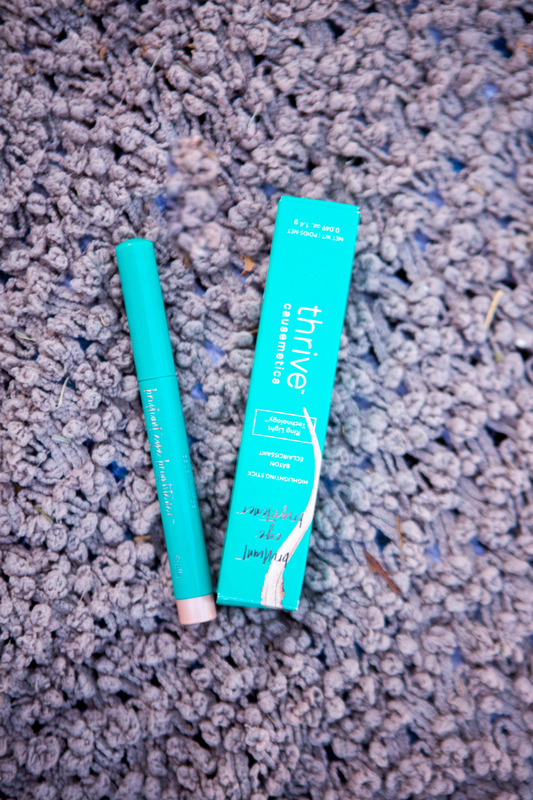 Thrive Causemetics Brilliant Eye Brightener in “Stella”. Highlight the inner corners of your eyes for a brightening effect. Tip: I love to use it on my cheekbones to for some shimmer. Mark & Graham Colorblock Throw. Make sure to wash cold and lay flat dry. I have it on my loveseat in my office right now. Bite Beauty Amuse Bouche Lipstick in “Meringue.” For a smooth base for your lipstick, exfoliate your lips beforehand. Ahava Hydration Cream Mask. Two uses: use it as a three-minute hydration boost or as an overnight sleeping mask. PUR Be Your Selfie Pallette. Use your fingers to smoothly blend any of the shades on your eyelid. No brush, no problem. Anthrolopologie x Mer-Sea & Co. Sea Whip Body Cream in “Coconut Sugar.” After shower and patting dry, apply the body cream all over your body to retain moisture. 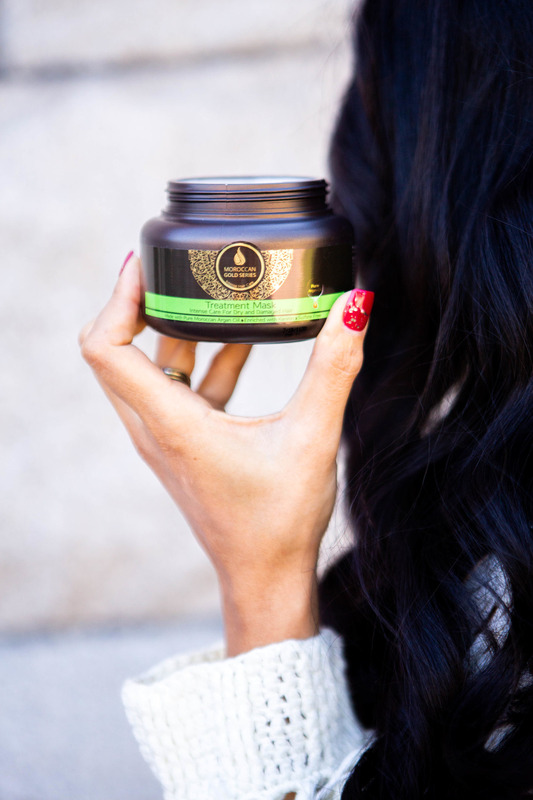 Moroccan Gold Series Treatment Mask. After shampooing, leave the mask in hair for 5 o 7 minutes, then rinse. 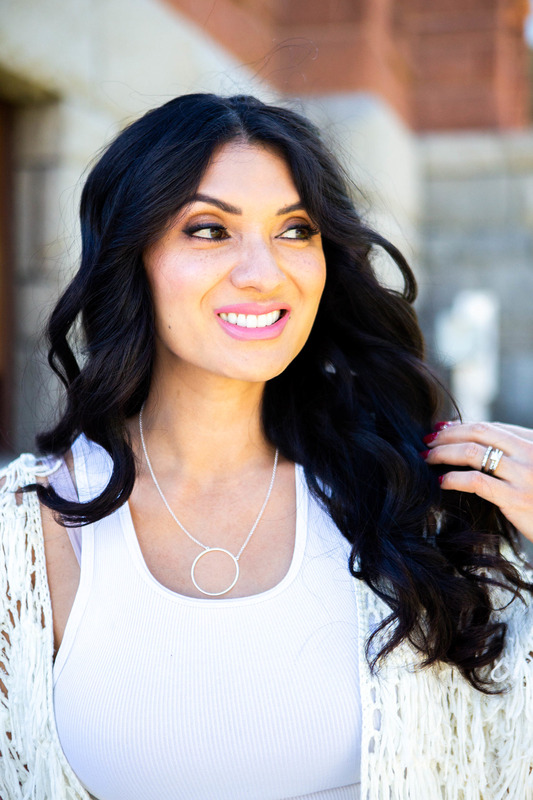 Lele Sadoughi Silver Circle Necklace. Ever since I put this one for the photo shoot. I have not taken it off. I absolutely LOVE this necklace! Store it in a velvet, satin, or fabric-lined jewelry pouch. BLAQ Hydrogel Eye Mask with Hyaluronic Acid. Leave the yey mask on for 10 to 15 minutes before carefully peeling it off the skin. It is that time again! The time to receive my box from FabFitFun. And this winter box is fabulous!!! 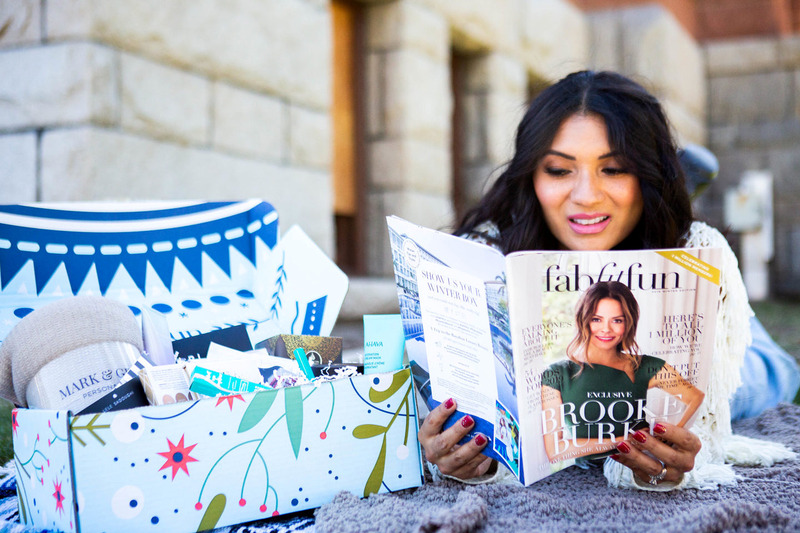 For those of you who aren’t familiar with FabFitFun it is a subscription box with full-sized fashion, beauty, fitness and lifestyle products. 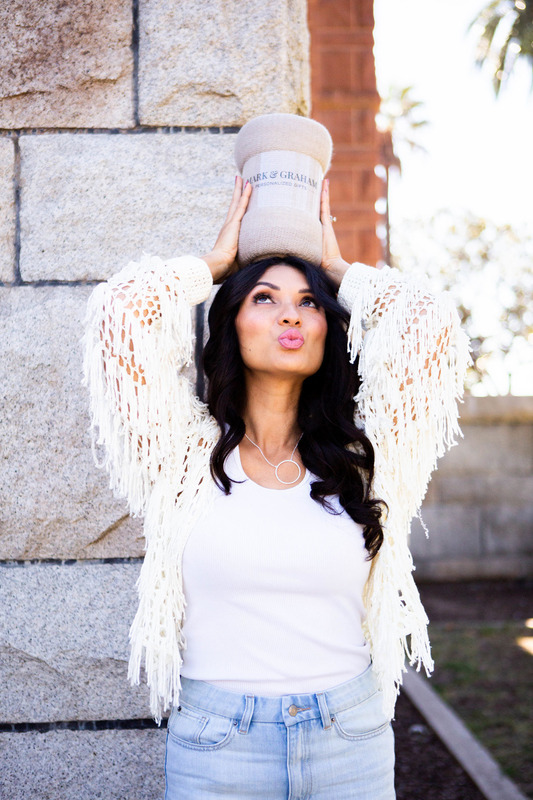 Check out my recent posts about FabFitFun, here and here! This box is filled with so many goodies that I love and had to enjoy right away like — Mark & Graham Colorblock Throw, Lele Sadoughi Necklace, and Thrive Causemetics Eye Brightener. This is one box you need this season and will definitely make a perfect gift for your loved ones! The box comes out once each season. It retails for $49.99 but always has a value over $200! That is quite fantastic and talk about real savings! And, not to mention, the products are not sample sizes but actually for full-sized products. It is the real deal! Another component of this box is that they team up with a charity each season to give back. I love supporting businesses with a heart. They have partnered with Kindness Factory, with a simple mission to achieve 1 million acts of kindness by the year 2020. Log your act of kindness today at kindnessfactory.com or share your story on social media with #OneSmallAct. All right, I know you are super excited to hear more about each item in this box! Below are the contents of the Winter Box with a total value of $290 – $335 (dependent on the selection). – Mark & Graham Colorblock Throw, $49: Available in Gray/Ivory or Natural/Ivory. 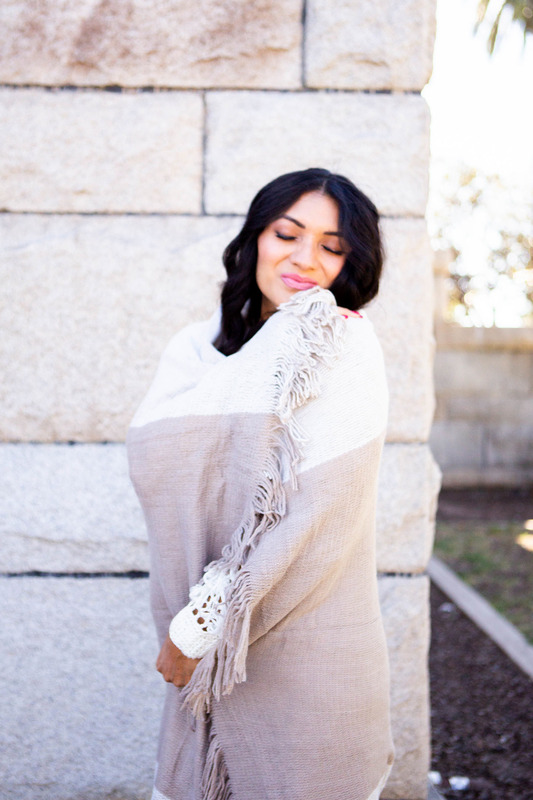 Cozy up with this woven throw, which features a stripe design and cool fringe detailing. – Thrive Causemetics Eye Brightener, $24: Infused with macadamia and meadowfoam oil, this silky champagne eye brightener instantly highlights and brightens your eyes. Shade: Stella. 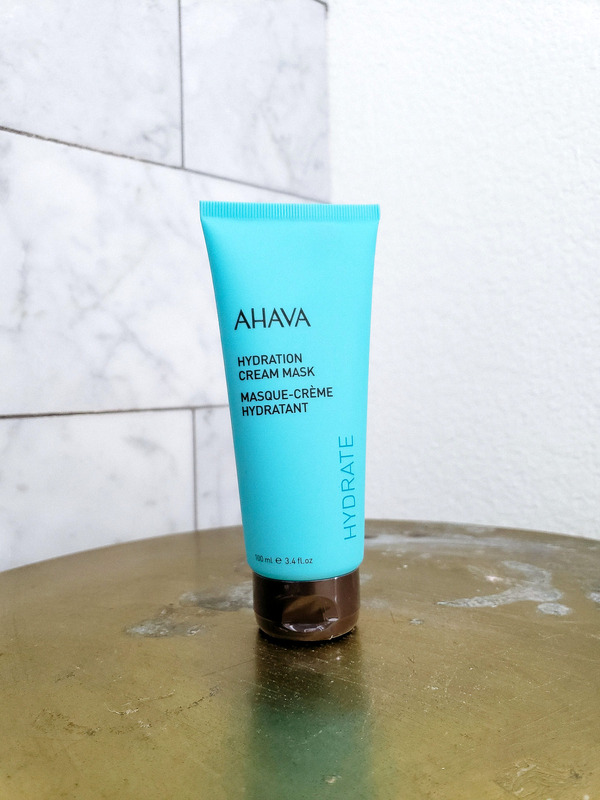 – AHAVA Hydration Cream Mask, $33: Enriched with mineral spring water, shea butter, and vitamin E, this rich, creamy mask softens and smooths the skin while providing intense hydration and comfort. 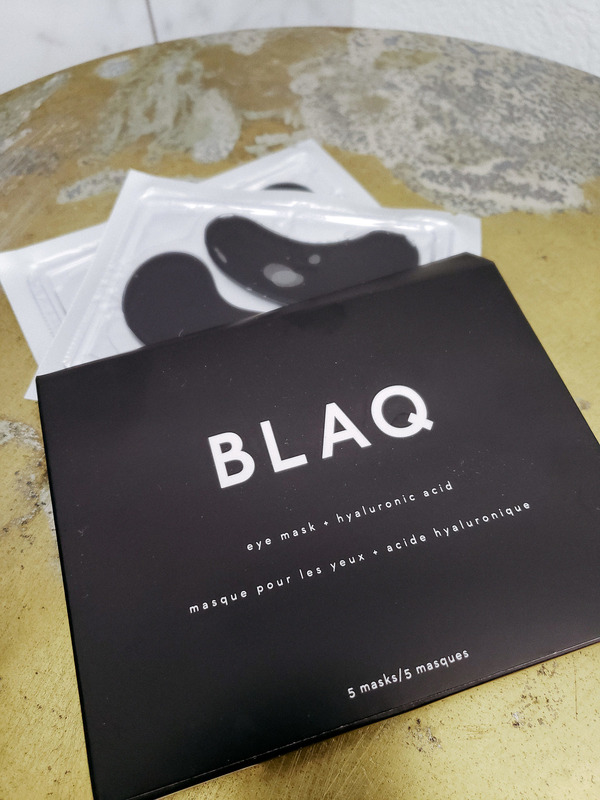 – BLAQ Hydrogel Eye Mask with Hyaluronic Acid, $29: Detox and de-puff with this activated charcoal eye mask for a refreshed look. 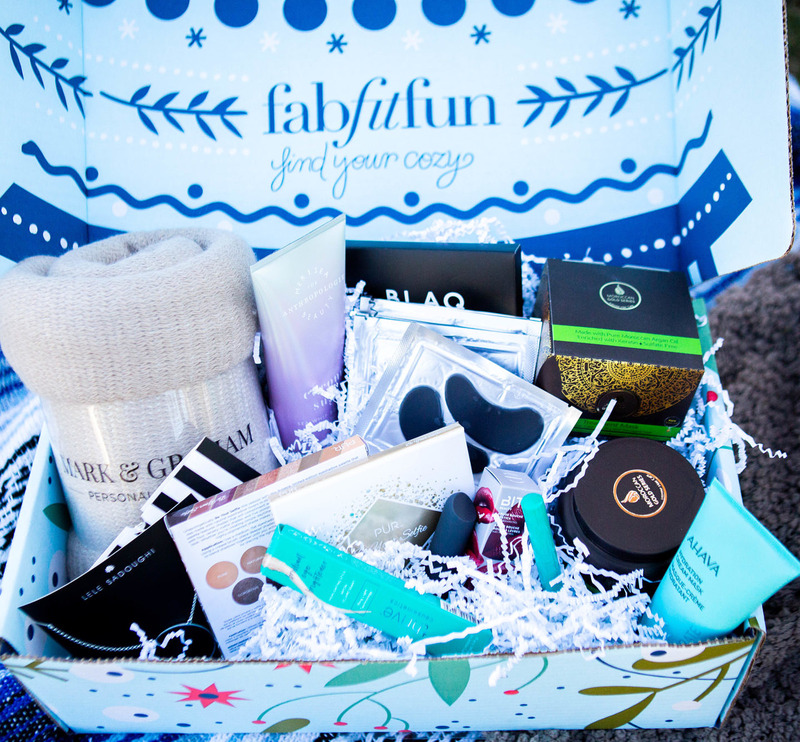 Is the FabFitFun Box Worth It? I think you would really love this box! If you are like me, a woman who loves beauty and makeup products, jewelry, and lifestyle products….you will be quite happy with this box! And, to be quite honest, all of the boxes I have received….this one is my favorite! Another great thing, that I would like to point out is that each FabFitFun box has items that I wouldn’t normally buy for myself because of the higher price-point. So, the fact that there are premium pieces here for only $49.99 is a total score! And right now you can save $10 off your first box at fabfitfun.com by using my coupon code “DEBLOVES”. 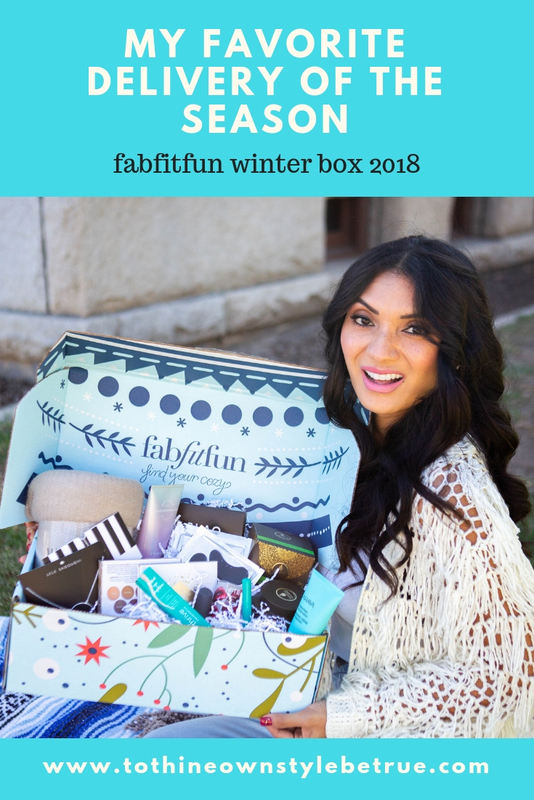 Have a Happy Monday and I would love to hear about what you think of the FabFitFun Winter Box 2018. Do you like what you see? So many great goodies in this box! This would make the perfect holiday gift too! Wow, looks like you got some amazing products in this box. I can see why it’s your favorite so far. I do love that necklace, it’s cute but not too over-the-top and looks like it could be worn almost every day. And who doesn’t love a good throw blanket?! Ooh, you got some Ahava in your box? I LOVE their stuff – discovered last feb when on pilgrimage to the Holy Land – Ahava is the best!!! I have been waiting very impatiently for my Winter Box to arrive! haha. I am so excited to use all the different masks to look my best during holiday stress. That box is filled with so many goodies. Looks like a great gift idea! Wow, that box is filled with so many amazing goodies. I will definitely be signing up for this asap. 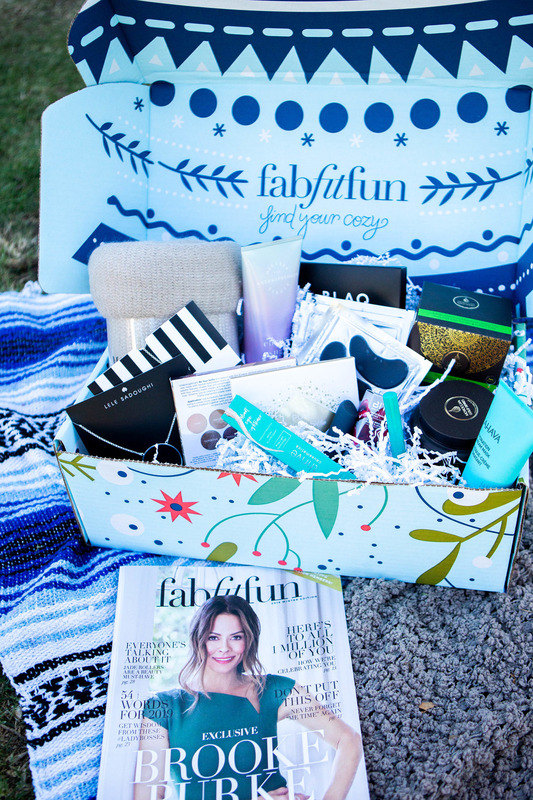 Wow, this FabFitFun Box is a like a treasure island filled with wonderful gifts. I truly like it.. I always love those boxes! Such a fun treat to get for yourself! I love subscription boxes and have had my share of them.They can add great value if you really use the items in the box. This looks fab.